More than ever, healthcare marketing executives are being held to a higher standard of accountability for return on marketing investments. The basis for competition in healthcare is changing and health systems are racing to put in place the services, capabilities and structures to be successful in the new value-driven world. This sweeping change requires a shift in thinking for marketers, a blueprint to transform healthcare marketing operations, strategies to forge critical allies across the health system, and capabilities to demonstrate ROI. So, let’s make 2015 the year we disrupt our healthcare marketing past and fully embrace the new. Welcome the science of healthcare marketing. Make this the year to build a robust marketing information technology center. Optimize investments in CRM, call center, digital and search marketing by hiring the smartest marketing analytics minds you can afford and setting them loose to aggregate, integrate, interpret and share customer data. Use that information to drive real-time decisions about customer, product, promotion, pricing and channel strategies. Add consumer pricing to the marketing mix. High deductibles, tiered networks, individual health-fund management of health savings accounts (HSAs), and a growing number of retail health options are giving consumers more incentives to shop price. And they want straight answers about the cost of services (when consumers say cost, they mean price). Marketers must help bring about a shift in thinking from pricing merely as a means to recover costs to pricing as a strategy to establish value. Competitive pricing will require greater-than-ever alignment of customer, product, channel, marketing and service delivery decisions. 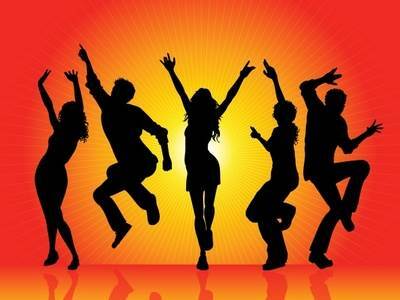 Do a radical makeover of the marketing department. If the marketing team is still organized, staffed and resourced to primarily promote things, then run, not walk, to the nearest whiteboard and start mapping out a new future. Business creativity – not advertising creativity – is the key to delivering profitable growth over the long haul. Restructure the marketing department to drive the health system’s growth strategy, and build the capabilities and skills to develop markets, launch new products, create valued customers and drive innovations in service delivery. Build a mutually-accountable partnership with operations. Marketing expenditures that generate consumer demand are wasted when prospects are lost because there is no mechanism to convert them into actual customers – or retain them as loyal customers. When it comes to marketing ROI, it takes a village. Marketing, clinical operations, physicians, nursing, purchasing, IT, finance, human resources and others must work together and be mutually-accountable for results. Stop investing marketing dollars on programs that have service delivery problems, but do come to the table as a willing partner to help solve those problems. Make customer experience a strategic priority. Leverage every available research finding, case study and soapbox opportunity to help executives, service line administrators, doctors and others gain a deeper understanding of what it means to be consumer-centered and what it will take to deliver a valued experience. Customer experience is not about HCAHPS scores. It’s about building brand loyalty through innovative products, services and personal experiences that make customers feel appreciated and willing to be your best brand advocates. The healthcare world is changing whether we like it or not. How we embrace or resist the change will determine our fate. A bold vision, big ideas and a plan to transform the way we do marketing offer a far better chance for success. Perspectives, expectations and insights for healthcare marketers. Want to know what the average American thinks about your tax exempt status? How they’re using online ratings to choose doctors and hospitals? The importance of smart phones and mobile apps for managing health? Join Rob Klein, Founder & CEO, Klein & Partners; William (Bill) R. Gombeski, Jr., Director of Strategic Marketing, UK HealthCare; and me at 11:30 am CST on a January 22, 2015 webinar for an examination of key consumer perspectives revealed through Klein & Partners’ latest “kitchen sink” research. 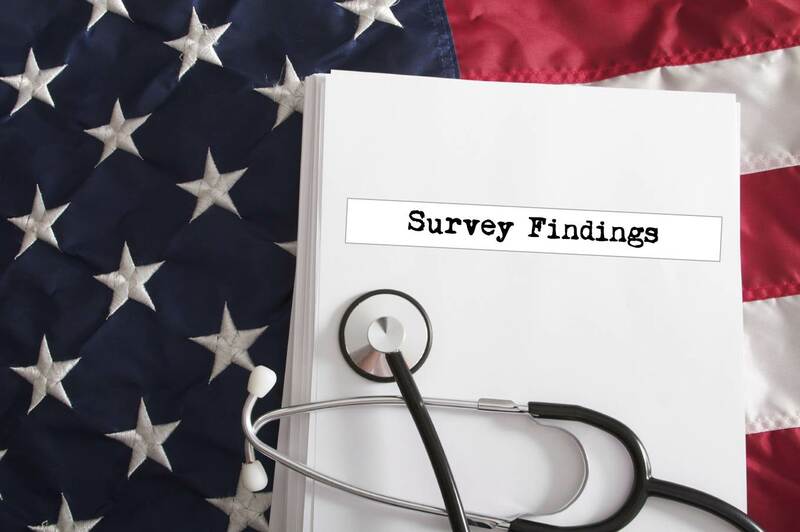 The survey asks Americans a variety of questions about different healthcare topics – from their opinions about the Affordable Care Act to use of retail health clinics. We’ll talk about the findings and explore the implications for healthcare marketers. 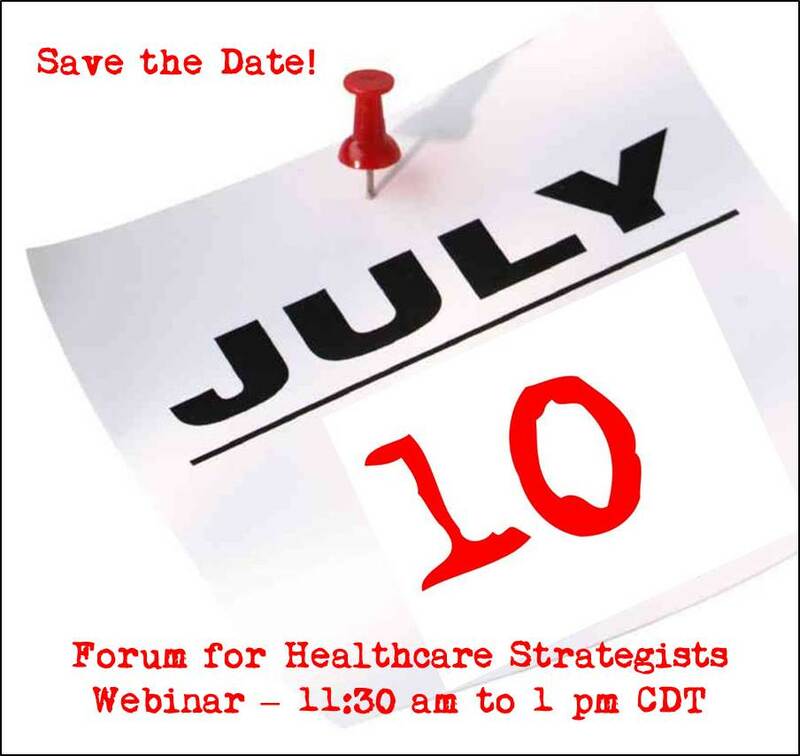 The webinar is sponsored by the Forum for Healthcare Strategists. There is no charge for Forum members; others pay $125. True confession. I’m a compulsive list maker. Every morning over the first cup of coffee, I transfer all of the must-dos, want-to-dos and don’t-want-to-dos from my head to a clean, dated sheet of paper in the spiral bound notepad that accompanies me everywhere. This ritual, which began early in my healthcare marketing career, serves to control the excess noise that sabotages personal productivity. Once every exhaustive action is out of my brain and on paper, focus kicks in and the course of thinking, conferring, learning, creating and decision-making finds its natural flow. 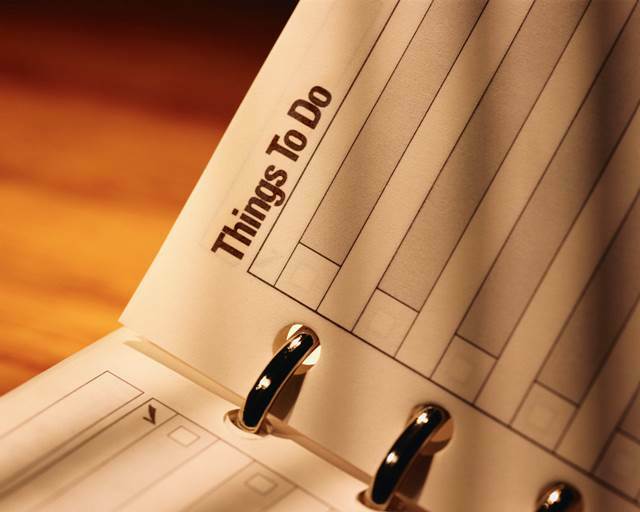 This morning, even my list has lists – subcategories of activities needed to navigate work, home and holidays during this zany month of December. I gave up on the concept of “work-life balance” a long time ago. If you want to understand balance, You Tube Nik Wallenda’s high wire walk across the Grand Canyon or Chicago skyscrapers. It’s spellbinding – and nerve racking – to watch him balance life and death on a straight, thin wire perched somewhere between the heavens and a long fall to earth. In real life, how does one create equilibrium between “It’s a Wonderful Life” and “One Flew Over the Cuckoo’s Nest?” Where balance is more about keeping the roller-coaster wheels on track than walking a tightrope? For me, making that daily list – and checking it off – is track maintenance. So, one of the tasks on today’s docket is figuring out how to pack a single carry-on suitcase with the clothes and accessories needed to careen from work and leisure in chilly New York City to a family funeral in Virginia followed by a return trip to NYC and off to client work in sunny southern Florida – all in the next six days. Balance? Only in my dreams. But I wouldn’t trade this wonderful, crazy life. One of our healthcare marketing panelists has been called for jury duty during the week this program was originally scheduled. See the new date and time, session description and link for registration below. Healthcare marketers face increasing pressure to make the most of their marketing investments. The C-suite wants accountability for outcomes – volume, revenue, greater customer loyalty – and assurance that the health system is strengthening its competitive position. The bottom line is that marketing is becoming more science than art. Today, sophisticated tools and marketing analytics provide great insights into customer needs, values, drivers and behaviors. They inform our decision-making, shape strategy, focus investments. When actionable information is combined with rigorous planning, innovative ideas and disciplined tracking, marketing executives quickly close the accountability gap. On August 21, 2014, I’ll join Marian Dezelan, Chief Marketing Officer, and Chris Boyer, AVP Digital Marketing Strategy, for North Shore–LIJ Health System (Great Neck, NY) on a webinar to discuss how an evidence-based approach to healthcare marketing can better focus your strategy and produce measureable results. Marian and Chris will share how North Shore-LIJ’s marketing department applies evidence-based marketing techniques for personalized targeted marketing, patient engagement and making the most of marketing data. Sponsored by the Forum for Healthcare Strategists, the webinar is scheduled from 12:30 am to 2:00 pm EDT. The session is complimentary for Forum members; non-members can participate for $125. I hope you’ll join us. In fact, gather your team, order in lunch and make time to learn together. Click here to learn more about the webinar and register for the program. On July 10, 2014, I’ll join Marian Dezelan, Chief Marketing Officer, and Chris Boyer, AVP Digital Marketing Strategy, for North Shore–LIJ Health System (Great Neck, NY) on a webinar to discuss how an evidence-based approach to healthcare marketing can better focus your strategy and produce measureable results. Marian and Chris will share how North Shore-LIJ’s marketing department applies evidence-based marketing techniques for personalized targeted marketing, patient engagement and making the most of marketing data. Sponsored by the Forum for Healthcare Strategists, the webinar is scheduled from 11:30 am to 1:00 pm CDT. The session is complimentary for Forum members; non-members can participate for $125. Are you seeing greater consumer scrutiny of healthcare prices? You will. More and more, I hear from healthcare colleagues that the number of consumers inquiring about healthcare prices is increasing. Some just want to know what a specific procedure or drug will cost. Others want to understand their out-of-pocket contributions. And many, many more complain about prices and pricing structures that, quite frankly, just don’t make sense. 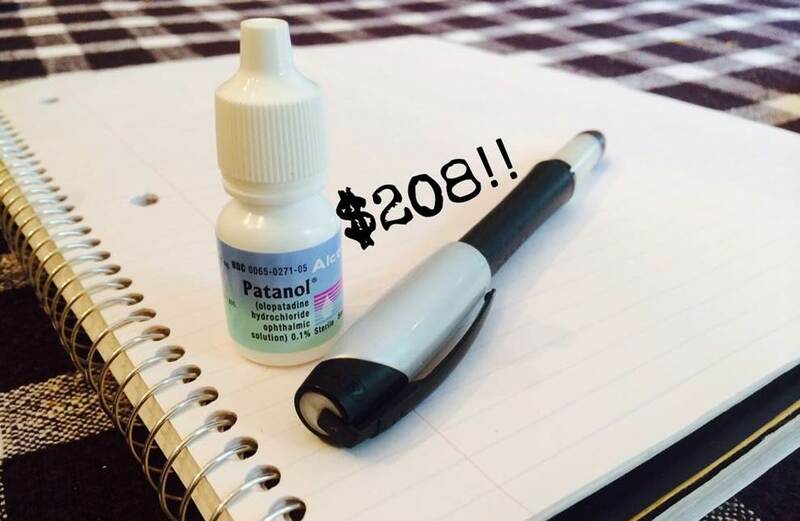 It’s ironic that I ran across this Huffington Post article – More Proof that American Health Care Prices are Sky High – just when my husband called to let me know that the price of the eye drops prescription I had asked him to pick up was $208.00. Our health insurance company wanted to consult with the provider about alternatives before approving and paying for the script. It was 7:30 in the evening and the doctor’s office was closed – meanwhile my eyes are nearly swollen shut from the overabundance of pollen we’re experiencing this year. So we shelled out the $208 and will spend the next few days making multiple phone calls to try and align this patient’s needs with the doctor’s recommendations and the insurance company’s procedures. I was curious about the cost of the drug when I read this blog post regarding the latest data from the International Federation of Health Plans, an industry group representing health insurers from 28 countries including the United States. The author’s point is that American patients pay the highest prices in the world for a variety of prescription drugs and common medical procedures. So I looked up pricing for the eye drops on drug retailer websites from several countries, including the UK and Canada, and found that prices for the very same prescription (brand name, strength, dosage, etc.) were significantly less – around $40 (with free shipping). That’s about $8 per ml, whereas we paid $41.60 per ml. I’m talking about a bottle of eye drops that barely stands 1½ inches high. The pharmaceutical people have some explaining to do. In fact, all of us who work in this industry do – about how prices are established, why there is so much variation across providers, products and services, why it cost so darn much. As healthcare marketers, we’re removed from pricing decisions, which are core to branding, positioning and marketing strategies for both wholesale (contracting) and retail (out of pocket) relationships. Personally, I hope we see consumers ask more questions – and demand more answers – about the price of healthcare services and goods. And I hope we as an industry will have good answers. It’s time to bring pricing into public view.